What Are the Functions of Antibodies & Antigens Binding? Cancerous cells multiply more rapidly than normal cells, so they are more active. A positron emission tomography (PET) scan creates images of cell activity, using standardized uptake value (SUV) as a measurement. SUV describes the level of activity in a particular spot compared to activity elsewhere in the body. An SUV reading of 1 is baseline or normal celluar activity. An SUV of 2.5 or greater can indicate metastatic cancer activity, but other factors can provoke above-normal readings. In a PET scan, the patient receives an injection of a radioactive tracer—usually a type of glucose—that cells will absorb. He remains still while the tracer circulates through the body and cells feed on it. A special camera takes images of the body and the areas where the the cells are most active appear as bright or "hot" spots. The SUV reading calculated by the radiologist describes the level of activity in each hot spot. PET scans are useful in detecting disease and damage to the body. Elevated SUV readings may indicate the formation or spread of cancers, especially lymphomas, lung, colon and prostate cancer, as well as cancers of the head and neck. SUV readings also provide valuable data on blood flow and brain activity, helping doctors to detect coronary artery disease, damage to the heart and neurological disorders such as epilepsy, Parkinson's, Alzheimer's, Huntington's and multiple sclerosis. Other imaging techniques, such as X-rays, computed tomography (CT) scans and magnetic imaging resonance (MRI) measure density. The PET scan is the only tool that identifies chemical and metabolic changes. This heightened cellular activity occurs before anatomical changes in density, so SUV readings indicating increased biological activity permit earlier detection of cancers and other diseases, including Alzheimer's. PET scans also can obviate the need for invasive surgical techniques sometimes used for diagnosis. SUV measurements are a calculation that takes into account absorption of the radioactive tracer compared to time elapsed and the patient's body weight. This formula can be thrown off by a number of factors, including recent chemotherapy treatments, uncontrolled glucose levels (as in the case of a diabetic), leanness of the body, length of fasting prior to the test, and the patient's ability to remain still. Inflammation and infection also can cause falsely inflated SUV readings. PET scans are more expensive than other types of diagnostic tools and are not as widely available. 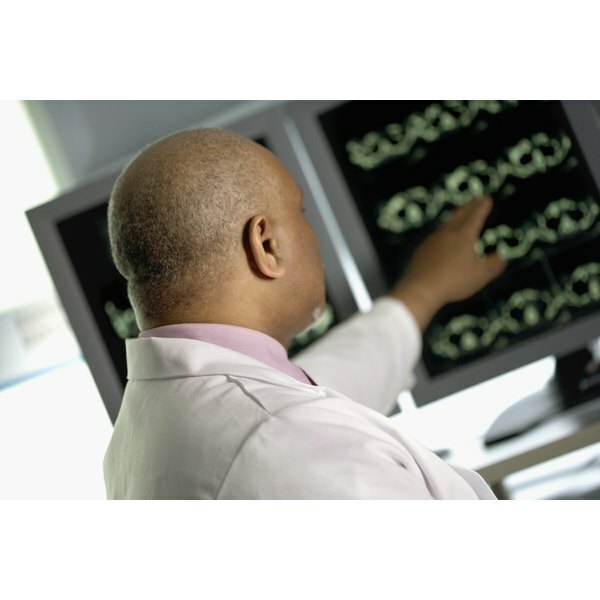 Because of the many factors that can cause inaccurate readings, doctors normally perform PET scans in conjunction with other tests, such as CT scans or biopsies. In addition, medical insurers, including Medicare, limit the conditions under which they will pay for PET scans. What are the Normal Vital Signs for a Newborn Baby? What Are the Causes of Carcinoma?